First of all, I want to thank Amanda for hosting this auction! As her big sister, I promise you that her cookies are wonderful! She's not going to let you down in the tasty department! I started training and fundraising for the Leukemia and Lymphoma Society in 2011. I had completed two half marathons when my dad lost his close friend, Jim O'Leary, to Leukemia. I chose to train with this program to improve my lifestyle and fitness - and I learned so much about running, nutrition, hydration, and managing a healthy, active lifestyle with all the other day to day tasks we have. But I also learned so much more about how far friendship and generosity can go. What it really means to have someone's back. This Team is working HARD, together because these diseases are personal. I completed the San Diego Rock and Roll Half Marathon that summer. Jim's wife met me at the finish line. Almost two years later, I have met so many other people who have survived Leukemia and Lymphoma. I have made friends who have also experienced incredible amounts of heartbreak and loss in watching a loved one lose their battle. Since 2011, two people close to me have lost their lives to these diseases. At the same time, a ten year old boy, one of our honored teammates has gotten out of the hospital and gotten his life back. We give high fives and tunnels of love at the end of a workout; we give hugs for good health and celebrations of life; but we hold hands at funerals too. I don't know about you, but I want more high fives and hugs than I do funerals. So, I am fundraising for the Leukemia and Lymphoma Society again and training for another 26.2 miles to do my part to change and improve lives of those battling blood cancers. 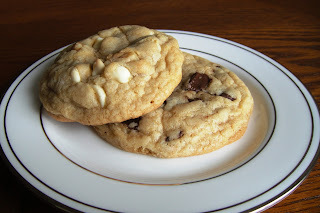 Chocolate Chip Cookies – I shared this recipe for White Chocolate Chip Cookies on the blog, and will be baking a batch for you with your choice of white or semi sweet chocolate. The cookies are big and chewy and everything I hope for in a cookie. Gingersnap Cookies – My very first blog post was about baking these cookies for Melissa for her birthday. I didn't share the recipe then, but I will be posting it here later this week. (Update 12/21 - I posted the recipe here! )The recipe is from David Lebovitz and includes ground and candied ginger for a great spicy cookie. Melissa here: I already have $5 on these cookies! They are delicious. Please feel free to outbid me. My birthday is just a few weeks after my race! 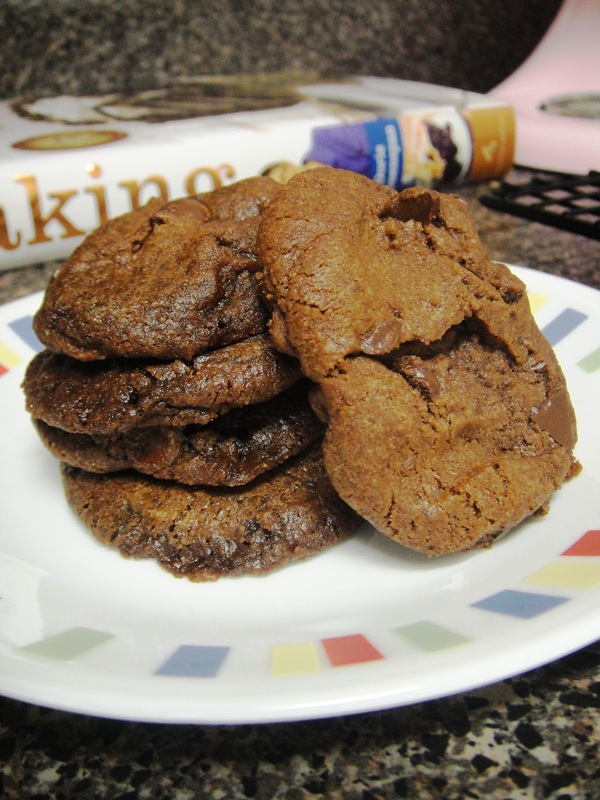 World Peace Cookies – I made these cookies for the first time earlier this year, and they are super chocolaty and if they can’t bring world peace, they will at least make your holidays that much sweeter! Use the form below to enter your name and email address (a valid email address is required so I can contact the highest bidders), select the type of cookie you would like to bid on, and place your bid. Once you click submit, your bid has been placed. I will update the blog post daily with the current highest bidder for each type of cookie and post updates on Twitter. Be sure to check back often to see if you have been outbid. Feel free to place as many bids as you like and bid on any or all of the cookie varieties. The auction will be open until Wednesday, December 19, 2012 at 11:59 pm EST. On Thursday morning, I will notify the highest bidder for each cookie variety via email. At that time, I will request your mailing address to send the cookies and you can make a donation in the amount of your winning bid directly on Melissa’s fundraising page. Note that you are welcome to make a donation to Melissa’s fundraising page at any time, but if you are in it for the cookies, I suggest waiting until notification of a winning bid before making your donation. Thank you so much for your support of Melissa’s goals and of the Leukemia and Lymphoma Society. Your donation will go a long way to support patients and families struggling with blood cancers. I actually like its title. 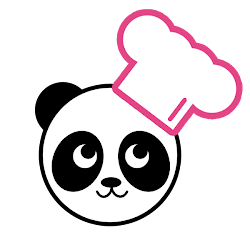 I love panda's may be that's why. The recipe they have told about cookies. I love cookies. They look delicious.It forced me to read again. Amazing!